Cake Decoration is one of the culinary and sugar arts. The art of Cake Decoration utilizes icing or frosting and several other decorative substances to decorate simple and plain cakes. Cake Decoration grants a colorful and gorgeous look to cakes along with immense deliciousness. Decorated cakes are a great source of attraction for any kind of special celebrations such as a birthday party, Christmas, wedding, etc.Cake decoration is usually done by covering a cake with any kind of icing type and adorning it with decorative sugar, candy, chocolate, etc. This act of embellishing the cake icing is too simple. It is just like sprinkling any glossy material or decorative sugar on the top of the cake. Icing decorations can be created by piping icing flowers and borders or by molding sugar paste, fondant, etc. With the help of this unique art a single-layered cake can be turned into a multi-layered cake, that too with edible decorations. In earlier days people used to slice a cake and join its pieces to form particular shapes to surprise children on their birthday party. Nowadays, people craft shapes directly out of fondant. The most commonly used cake decorations are Fondants, Royal Icing, Marzipan and Gum paste. Fondant is also known by the names sugar paste and ready roll icing. It is available in many colors. The initial form of Fondant is very soft and easy to handle and in this form it can be easily molded into different shapes. Royal Icing is prepared by mixing whipped fresh egg whites with icing sugar. Marzipan is generally used as a modeling for cake decorations and as a base covering under fondant. Gum paste is a brittle material also known by the name florist paste. It dries quickly and can be used to create decorations like flowers and other patterns. Cake Decoration Diploma Course will help you imbibe these techniques in detail.Cake Decorators are Culinary Professionals. Their aim is to craft a confectionary perfect cake from a simple plain cake. 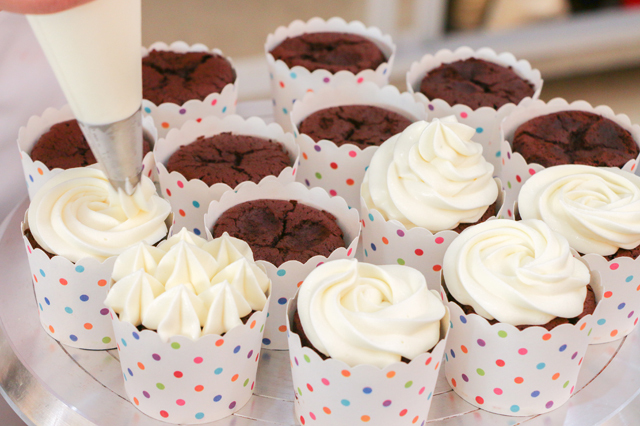 A cake decorator can work in bakeries and pastry shops. They are also wanted in restaurants and catering companies. A cake decorator having both excellent talents and ample experience can start his own business. Cake Decoration Diploma will help you develop your artistic skills and learn new tips and techniques of Cake Decoration. Cake Decoration Diploma offers you a wonderful opportunity to know, savor and explore various aspects of Cake Decoration. This course has included the relevant units like The History of Cake Decoration, Cake Design and Planning, Cake Jargon, Essential Tools for Cake Decoration, Cake Filling, Cake Frosting or Icing, Cake Stacking, Dos and Don’ts of Cake Filling, Decorating Cakes and Cookies and Piping Techniques.